The Ponte Vedra Beach condo market has seen lots of sales activity recently. There have been several brand new buildings completed recently and many of the apartments in Ponte Vedra have been converted to condominiums. Along Ponte Vedra Beach Boulevard, condos in the Breakers and in Sawgrass have some of the best oceanfront views in Florida. The best part about buying a condominium in Ponte Vedra Beach is how protective the community is about over development. There are strict growth management policies in place to ensure that this beach community remains a very desirable place to live. For oceanfront condos in Ponte Vedra Beach take a look inside Sawgrass Beach Club, on the Boulevard, or at Serenata Beach. On Ponte Vedra Beach Boulevard, the Breakers and Whitehall are small intimate buildings with some unbelievable close up ocean views. Inside the gates of Sawgrass Beach Club, Spinnakers Reach and the Hallmark Condominiums have access to some of the best golf amenities in Ponte Vedra. Across the street from the ocean, The Carlyle Condos were built for upscale living, and are close to The Lodge and the Ponte Vedra Inn. 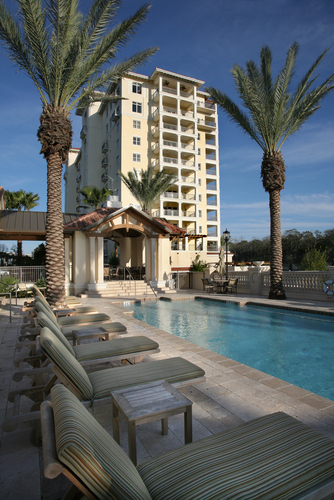 Two new condominium buildings in South Ponte Vedra, are Serenata Beach Condos, and Ocean Grande Condos. 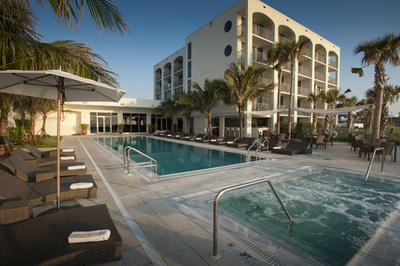 Serenata Beach condos are right on the ocean. The Beach Club at Serenata’s amenities are among the finest in Ponte Vedra Beach. Ocean Grande is right across the road from Serenata, and a has tunnel for residents to walk under A1A to the beach. Ocean Grande has some really spectacular marsh views along the intracoastal waterways. Owners in Ocean Grande have the option of joining the Beach Club at Serenata. New construction is carefully planned in Ponte Vedra Beach. The newest projects are the Beach House and Portofino condominiums. The Beach House is south of Ocean Grande and the the Portofino is near the intersection of Micklers and A1A. Both of these developments were built with the luxury home buyer in mind. Close to the Portofino on Micklers is the luxurious 26 unit Meditierra condo development. These Ponte Vedra Beach oceanfront condo buildings are very quiet and private compared to south Florida. Ok, lets list all (almost!) of the condo buildings along A1A: Summerhouse, Belleza at Ponte Vedra, Ocean Grove, the Fountains, Fairfield, Ocean Links, the Colony, Grand Cay Villas, Cranes Lake, and Bermuda Bay. Many of these condo buildings were apartment conversions. They remain some of the most affordable properties in Ponte Vedra Beach. Units in these buildings make great rental properties, since there are very few apartment buildings left to rent. Investors often buy these condos as a part of a 1031 exchange.